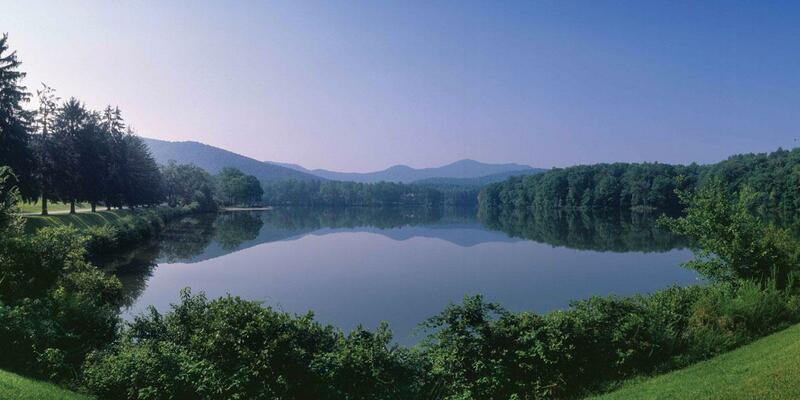 Biltmore Lake is an upscale master planned lakeside community located only 9 miles from downtown Asheville. Biltmore Lake offers homes, townhomes, cottages, land and maintenance free living conveniently located near Asheville, Hendersonville, Canton and Waynesville NC. The community's amenities includes a 62-acre lake, miles of trails, playgrounds, and parks for its more than 600 homes, 1000 home sites developed within more than 1300 acres. Living in Biltmore Lake you will find an elegantly-imagined community all around you, rich in detail, quality and craftsmanship. The close proximity to Asheville is a tremendous benefit as well as practical, convenient and woven with choices for shopping, dining and entertainment for all the residents. The idea of living on a mountain lake so close to one of the South's most charming small cities falls in the range of rare and precious opportunity. Biltmore Lake offers the balance of a serene and beautiful mountain retreat. That impression of beauty and tranquility rings true for all of the residents. With 62 acres of shimmering mountain lake right in the neighborhood. it's easy to see why so many Biltmore Lake residents are content to stay home on the weekends. 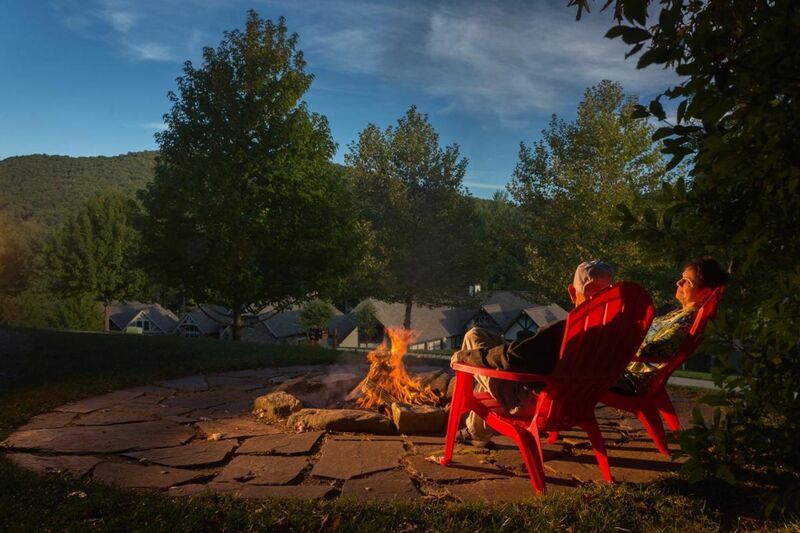 Living at Biltmore Lake is like a continuous escape from the world-at-large, a place where being with friends and neighbors preempts pretty much anything else. 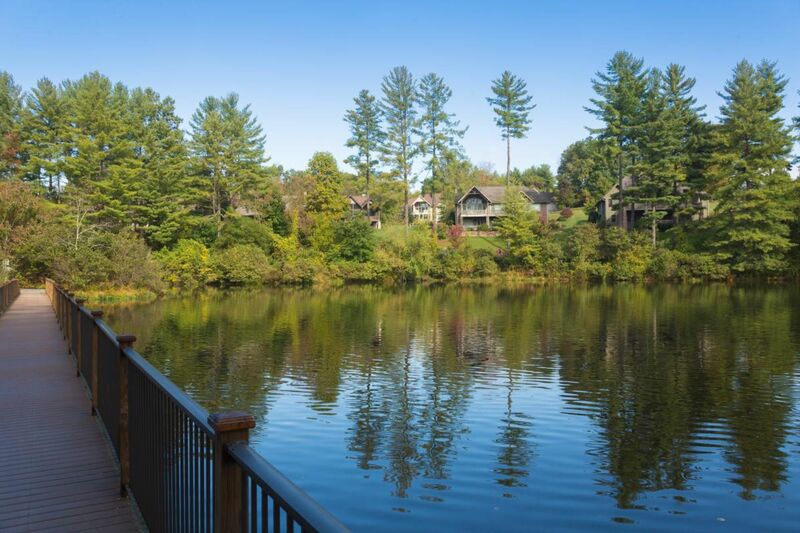 Residents of Biltmore Lake enjoy miles of well-kept trails, campsites, fishing and non-motorized boating, playgrounds and courts, including tennis and basketball. A short walk along a nearby trail instantly transports a person into all sorts of natural seasonal wonders and a chance to share those discoveries with neighbors and friends. Biltmore Lake is made up of residents from dynamic and diverse backgrounds, including young families with children and older adults approaching retirement or in their retirement years. 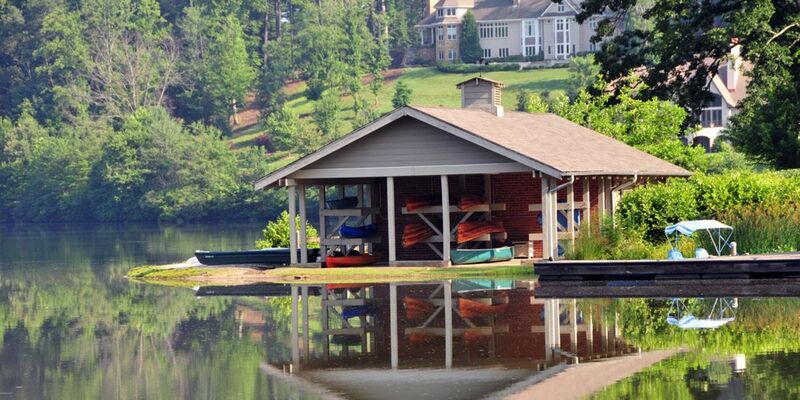 The residents enjoy miles of forest and lake trails, access to canoeing, fishing, tennis, and social gatherings. Biltmore Lake is only minutes from the Blue Ridge Parkway, Pisgah National Forest and the French Broad River not to mention the joy of unforgettable panoramas of the lake and Blue Ridge Mountains. Biltmore Lake's many neighborhoods connect seamlessly by way of streets, sidewalks, trails, and common areas, making chance encounters with neighbors and friends all the more likely. While each neighborhood offers a unique perspective, they all maintain the same idyllic mountain character. Some of neighborhoods like the gated Cedar Rock neighborhood offers residentsa home that includes provided outdoor maintenance. Biltmore Lake offers homes with efficiencies that support active lifestyles with wellness and comfortable living. The Biltmore Lake Community Association includes a full-time recreation director who coordinates events for residents of all ages year round. From Friday evening socials to tennis lessons, activities make community life at Biltmore Lake a celebration of friends and place. The Association works tirelessly behind the scenes on behalf of the residents. The Association's responsibilities include maintenance of the lake, trails, recreational facilities and landscaping. The Association also handles budget management, weekly trash pickup, community security patrols and design and review coordination. 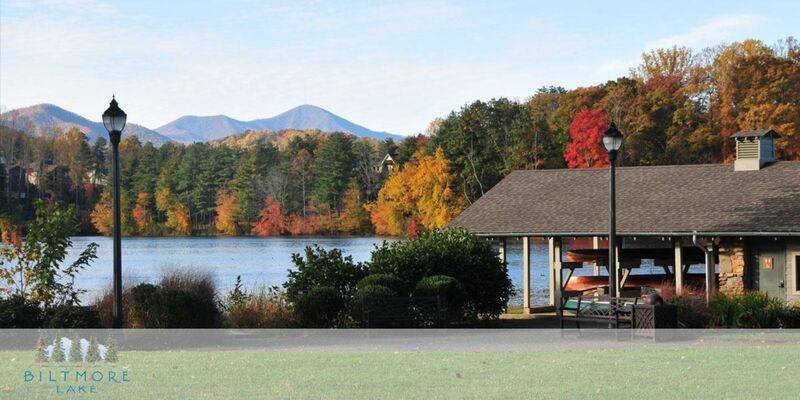 Biltmore Lake also has a club house which the residents can rent and a boat house where the residents can store boats or canoes for use on the lake. Lake:The community's centerpiece is a 62-acre lake and its shoreline trail system. This provides many hours of recreation for boating, fishing, joggers and strollers. Trails wander through the various neighborhoods and up Scott"s Ridge. The beautiful lake is the focal point of the community. Clubhouse:With an expansive terrace overlooking the lake and a cozy lodge atmosphere, the Biltmore Lake clubhouse provides a welcoming venue for gathering. Year-round, residents and guests can curl up in front of the fireplace with a book from the exchange library, experience the beauty of a brilliant sunset over the mountains, sip on complimentary coffee, enjoy free wireless internet or simply meet a friend to catch up on recent news. Boathouse: The residents not only enjoy the panoramic view of the lake and surrounding scenerythe residents enjoy using the lake for their canoes, kayaks, paddleboats and sunfish sailboats all which are available at the boathouse.The lake also has a sandy beach at the boathouse for sunbathers, readers and swimmers to experience the lake's shoreline. Camping: The community has four campsites alongside the lake's trail system which give the residents the ability to camp and sleep under the stars. Two of the camp sites are adjacent to the lake's shoreline and two are at a higher elevation on Scott's Ridge. Campers are able to reserve equipment at the recreation directors office. Fishing: Fly-fishing is an everyday event in this community. In fact, many of the streets in the community are named after lures. Fishing is not a sport you have to leave home for any more, you can enjoy fishing on a daily basis as part of your everyday ling in Biltmore Lake. Trails: Biltmore Lake has four miles of shady, dog friendly pathways that interweave the neighborhoods and give residents a chance to experience an outdoor lifestyle at their own pace and get to know your friendly neighbors. Tennis, Basketball & Playgrounds:The community has two hard surface tennis courts. Lessons can be arranged through the recreation director. The tennis courts provide an excellent view of Mt. Pisgah. The community provides a full length lakeside basketball court for hours of fun. The basketball courts have an adjacent parking area and a connecting trail in case you want to jog to the courts. The community has many playgrounds for the children with child-approved equipment and spots for adults to relax and enjoy the scenery. 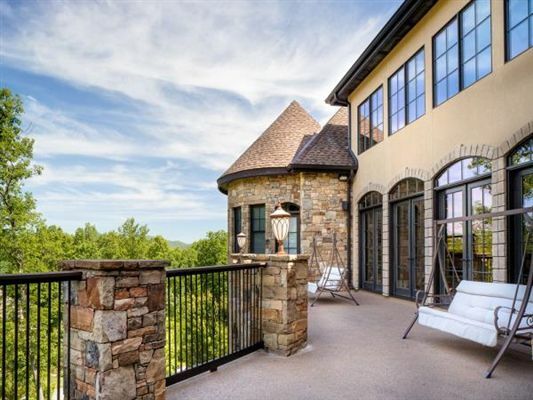 Biltmore Lake is a master planned Western North Carolina lakeside community offering homes, townhomes and land real estate conveniently located near Asheville, NC. The community's amenities includes a 62-acre lake, miles of trails, playgrounds, and parks for its more than 600 homes. 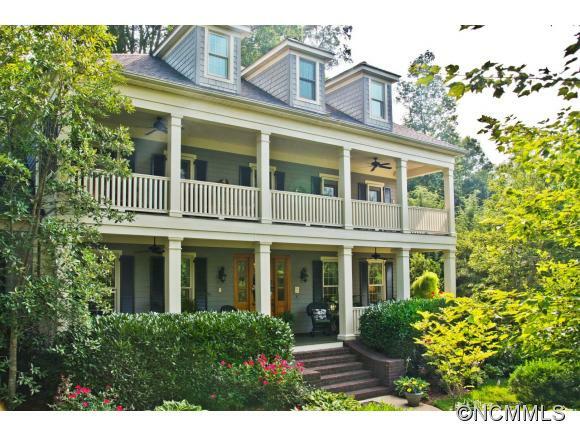 Available Asheville real estate includes homes, townhomes, cottages, and maintenance free living options. Biltmore Lake's many neighborhoods connect seamlessly by way of streets, sidewalks, trails, and common areas, making chance encounters with neighbors and friends all the more likely. While each neighborhood offers a unique perspective, they all maintain the same idyllic mountain character. Currently the Greenwells Glory neighborhood offers new home construction opportunities and the gated Cedar Rock neighborhood currently offers opportunities to purchase a new home that includes provided outdoor maintenance; for all of these, Biltmore Lake offers homes with woven-in efficiencies that support active lifestyles of wellness and discovery. Cedar Rock:The neighborhood of Cedar Rock within Biltmore Lake opens a door into what really matters. Settling into a single family home in this gated neighborhood, residents can enjoy the great benefit of owning a home without the perpetual hassles of outdoor maintenance, a reassurance available in the Cedar Rock Care Plan. Cedar Rock's beautifully crafted homes include the benefits of having landscaping, irrigation, and lawn maintenance provided by The Biltmore Lake Association. Greenwells Glory:This community offers new home construction with homes styles from the Cottage Collection. Phase 1 of the community offers homesites up to 1.2 acres, some with mountain view but all are in close proximity to the trails, lake and amenities. The Cottage Collection:These homes are 1,389sf to 2,282sf in size and located in the Greenwells Glory community. The Cottage Collection homes have great value and all the homes offer high-end finishes that reflect uncompromising quality with prices starting in the mid $300s. The homes range from 1,400 to 4,400 square feet, the cottages offer an opportunity to upgrade lifestyle while downsizing footprint. The cottages feature alluring details that include hardwood floors, granite countertops, stainless steel appliances, and exterior fixtures with finishes to match. Each cottage can become Healthy Built certified, providing a long-lasting, efficient and clean living environment for your family. Low VOC paints and EnergyStar appliances make the collection a green and thoughtful choice both for loved ones and for the environment. TOWNSHIPS-Asheville, Avery Creek, Black Mountain, Broad River, Fairview, Flat Creek, French Broad, Ivy, Leicester, Limestone, Lower Hominy, Reems Creek, Sandy Mush, Swannanoa, Woodfin, Upper Hominy. Alexander, Arden, Barnardsville, Candler, Enka, Flat Creek, Forks of Ivy, Jupiter, Leicester, Ridgecrest, Skyland, Stocksville, Swannanoa. COLLEGES: Asheville Buncombe Technical Community College-Asheville, Black Mountain College-Black Mountain, Shaw University, Brevard College-Brevard, Mars Hill University-Mars Hill, Montreat College-Montreat, University of North Carolina-Asheville, Warren Wilson College-Swannanoa, Western Carolina.